As I mentioned in a previous post, living in an apartment I am currently starved of cultivation experiences. When we lived on Waiheke Island, I had a large garden to play with but in the end I found it to be too much work, what with working full time, kids, housework etc. I had a real sense of relief when we moved into the apartment and I was no longer responsible for thistles that were taller than me in my front garden … shameful! However over time I found myself watching gardening programmes on the TV and looking longingly at other peoples gardens … thistles or not! 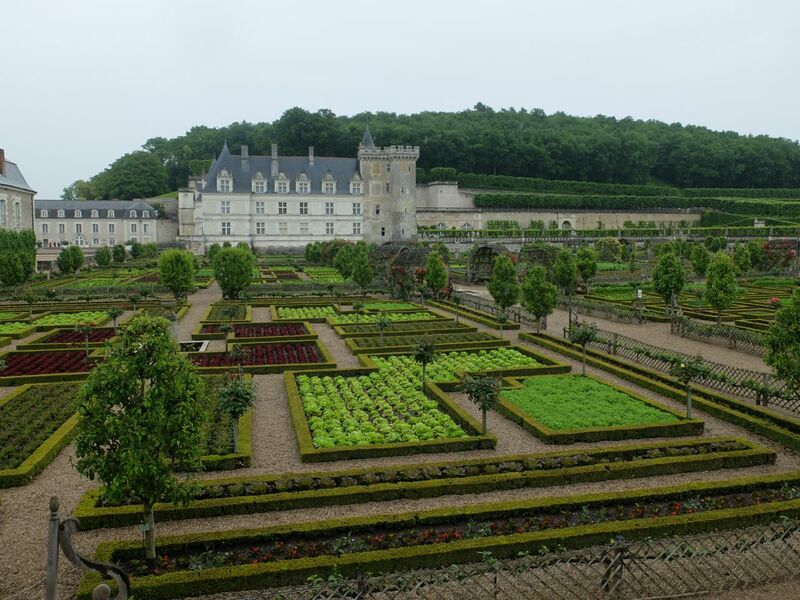 So I have decided that when we return to normal life (where ever that might be) I want to get a garden (with a little house) and plant a garden that I will model on Villandry Chateau … in a very bijoux iteration of course. The house will also be more of a batch (small holiday home) than a large French chateau … details, details! Anyway, back to the point of this blog post … I put up a new video about our time in England … and a little about our very nice experience in Business class on Quantas on the last leg of the journey … thanks to a large amount of air points! I was chatted up in Samur!! When I lived in France 20 years ago, being chatted up by French men was a daily irritation … French men being … well, French. But of course I was twenty years younger then so it was with total delight … and Husband disapproval … that I was chatted up in Saumur. 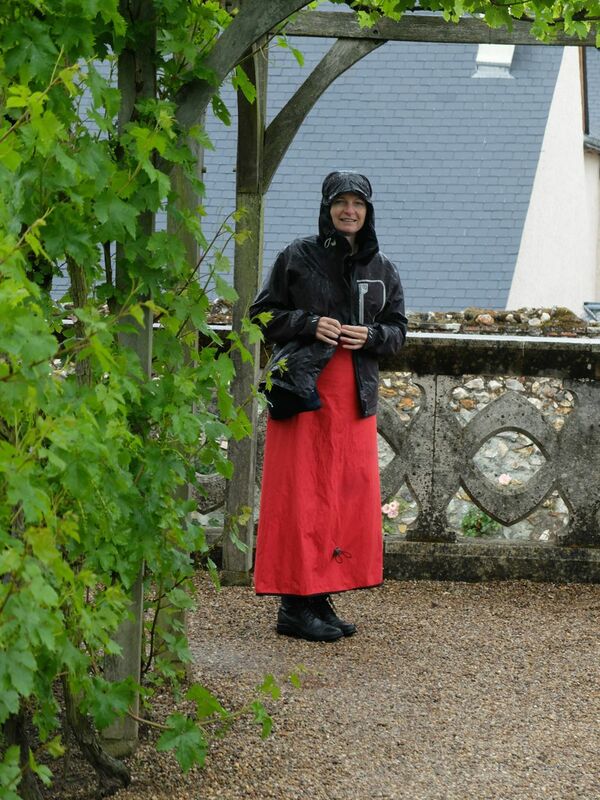 The torrential rain continued and reach ridiculous levels on the way into Saumur. We found ourselves slipping and sliding down a mud trail that would have made my nephews proud! With my superior cat-like reflexes and lower centre of gravity, I made it through unscathed. However, the Husband came a cropper and fell off in the mud … he was not amused and has been complaining of a bad back ever since. This may be a play for sympathy, or a more sinister ploy to abort our current cycling/camping mission … it could of course be that he’s hurt his back … I’ll let you know. And finally, I have made a pretty serious decision to eat less dinner so I can fit in more cake. The evening meals we have been eating have been good (due to extreme competition) but they are very much the type of meals we eat at home. Meanwhile, there are a great number of delicious cakes and pastries languishing in the patisseries as yet untasted by me. The obvious solution is to eat less dinner and more cake! Next Post Route … so far!